PROPHET REINDOLPH Oduro Gyebi, a popular Man of God in Kumasi, has predicted more floods in the country this April. Popularly known as the ‘Eagle Prophet’, he claims some. Spiritual forces are behind the floods, which will be frequent this month. According to him, the floods would cause havoc in the country, and therefore appealed to the citizenry to brace themselves up for any looming disaster. “There is a creature like a frog in the spiritual realm that has popped up from the water and it is spewing water, which will cause floods. 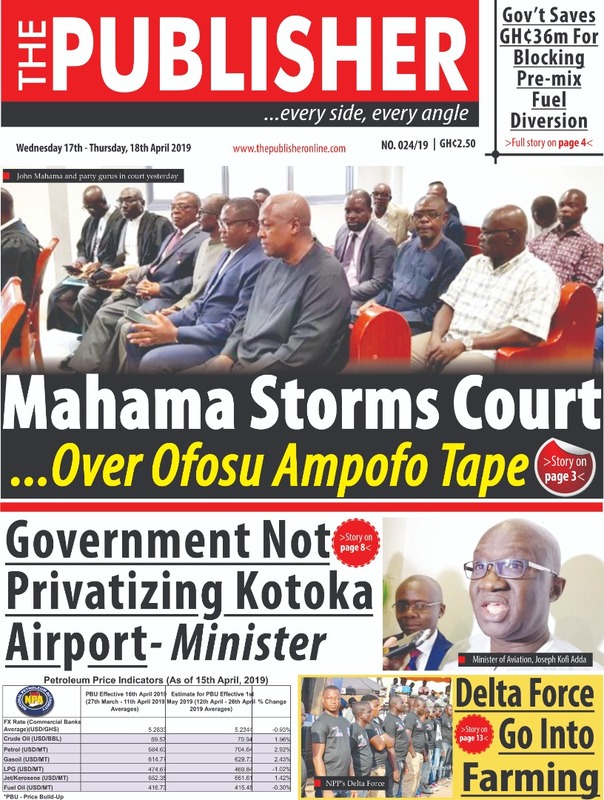 “The floods will cause destruction to properties in work places and houses in some countries including Ghana this April”, he sternly warned in a recorded tape, aired on Angel FM on April 1, 2019. Prophet Reindolph Oduro Gyebi, some years back, predicted that there would be disaster at the Kintampo Water Falls, and it happened. He had since that time given other prophecies, which all came to pass. Most Ghanaians therefore attaches seriousness to his prophecies.